If you're looking for the cheapest deals on adventure items, you have come to the right site! We bring you various options so you can choose the best deal according to your budget. One thing's for sure, all the deals and discounts we bring you are the latest ones. Whether you're looking for adventure playsets, adventure consoles, adventure figure sets, or adventure building sets, get exactly what you're looking for and exactly within your budget by using voucher codes and special offers from Base, GAME, Argos, Tesco, and 365Games. Experience the adventure and thrill without having to spend so much. Start Your Gin Adventure with 30% off Your First Box and FREE Delivery! Many studies conducted states that children who interact with adventure outdoor playsets gain lots of benefits. When children play with these types of toys, they improve their intellectual and emotional intelligence. They also enhance their physical attributes and heightens their social level. It greatly contributes to the emotional well-being of a child which prepares him or her for the future. There are lots of adventure items that are being sold in the market today and children like to play with these toys because it stimulates their imagination. 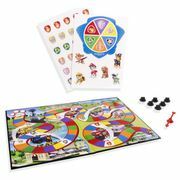 Although there are some adventure toys that are challenging to play most especially for younger children, it gives them the opportunity think out of the box and improve their problem-solving skills. By letting children play with various kinds of toys, parents give their child many options to have fun and develop themselves. It is essential that children should be permitted to explore and engage in activities. Exposing them to adventure play things increases their level of creativity. Where can I get cheap adventure deals in the UK? Here at Latest Deals, you will find the best offers for adventure outdoor toys. These kinds of toys are made to make children happy while improving their intellectual, physical, and emotional attributes. There are also cheap adventure UK deals that you can get from Simply Games, The Entertainer, and Amazon. There is also the availability of pirate garden toys if your child is fond of playing outside. Buy them at eBay and get big discounts. Always check for bargain deals and special offers here at Latest Deals because there are retailers that are having toy sales which can help save on your budget. Just remember to check the items before finalizing your purchases to avoid problems in the future. There are specific adventure children's toys that are sold for less than half the price when you buy at Argos and Tesco. If you are fond of games, there are UK retailers that give Free Applications for iPhone. Forbidden Planet is offering free delivery when you buy adventure outdoor toys from them. You can also use the money that you have saved from delivery fees to buy from toy sale online. If you’re looking for games, Google is offering discounted deals for Android adventure games. This is where you can get the best deals in the UK. Whether you’re looking for toys for girls or boys, adventure products provide your child with a great learning experience while having fun. Why should you buy adventure toys? When parents allow their child to play with adventure toys, they provide them with the opportunity to engage in personal development activities and self-driven play. The result of this is that they practice and improve their problem solving and decision-making skills. Allow your child to choose the toys that he or she is interested to play with. By doing this, you enable your child to discover new things. When a child chooses his own adventure toys, it adds more excitement to his gameplay and he will be more motivated to learn strategies on how to play with the toys by using his imagination. Children are enabled to create their own world through these adventure toys while optimizing overall development. There are various kinds of adventure toys, including swings, slides, climbing frames, Lego, and, bikes, among many others. Purchasing toys for your child’s personal development is one investment that is worth it. Playing with adventure toys is more than just allowing your child to have fun. It is also an important part of a child’s development and nurtures his or her imagination. Children who do not have toys to play with have a disadvantage. These toys are also great gifts for children who are creative. Choose a toy that will enable them to play with other children to develop their social skills. Interacting with other children have lots of benefits for your child. It will boost your child’s confidence in interacting with people, thus allowing him to discover and try new things.